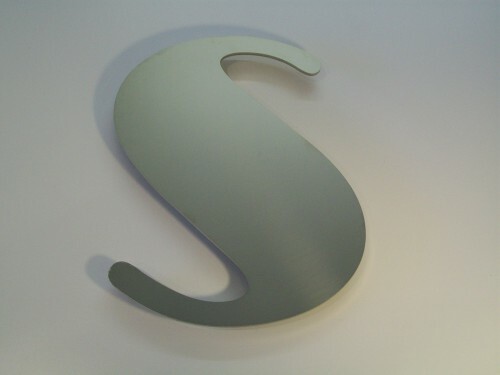 Stainless steel sign letters are custom cut to order supplied in any font. They can be in a traditional font such as Times Roman or in a contemporary ont such as Gill Sans. 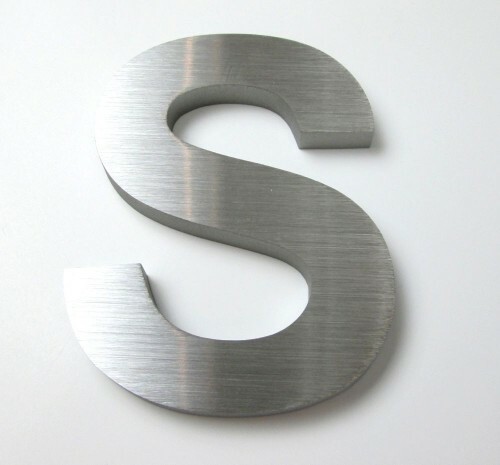 Stainless steel letters are supplied in a brushed finish or polished stainless steel finish, supplied in 3mm thickness with brass locators or rod fixings on the back. Letters may also be supplied with VHB tape on the back as an alternative fixing method. Stainless steel letters are supplied in at least a 3mm thickness otherwise an impression of the fixings could show through the face of the letters from the back. 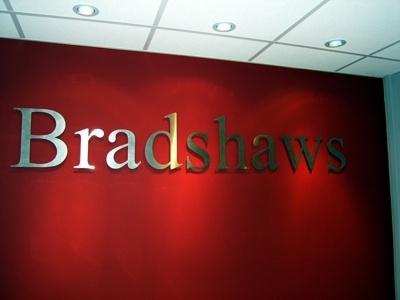 The letters are supplied with a paper fixing template which has the letters all pre-spaced and with all the fixing points shown enabling D.I.Y. fitting. 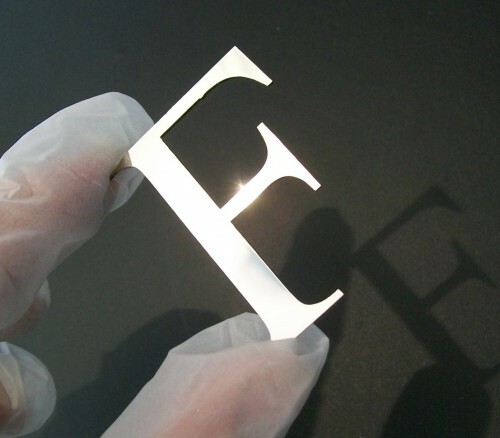 Stainless steel letters can also be cut as small as 15mm high. Fonts are more limited at this sort of height and standard Arial fonts are the norm. Small letters are fixed either with VHB tape or glued into position. 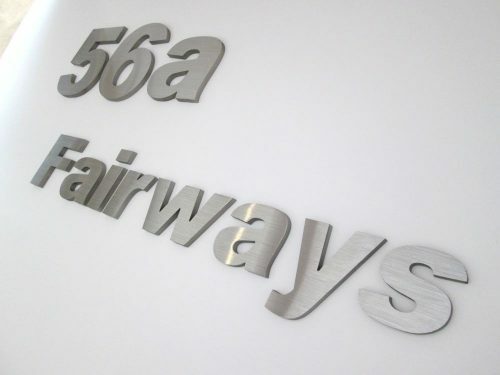 Stainless steel letters are now available 6mm thick stainless steel in a brushed face finish. Ask for a price, All letters and numbers are custom cut to order from a range of fonts or from customers own vector artwork. Dorset. BH9 1LF. 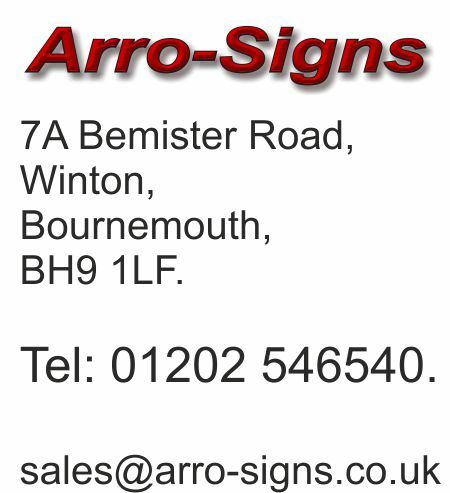 Tel: 01202 546540.